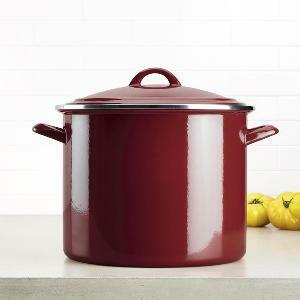 Prize: Simmer up your favorite soups and stews in the stylish Ayesha 12-Quart Enamel on Steel Stockpot. The pot heats quickly and evenly so you can make your recipes efficiently. It comes complete with a tight-fitting lid to match the pot. Statistics: This contest was opened by 132 and entered by 17 ContestChest.com members. 13% of those who opened the contest, entered it.